Â Â Much better quality than I expected, easy to put together and all tools included. Love the color and loved being able to match with other similar chairs. We couldn't be happier with our selection. Â Â These chairs took our dining room from old-fashioned to swanky. Using these on the ends of our dining room table and considering buying 4 more to replace the chairs completely we are currently using. Â Â What a bonus. Very stable, and easy to wipe down with kids dropping food on them. Looks great with a cushion on it. I was impressed with how quickly they arrived, actually one day before expected. I am very happy with this purchase. Â Â These look great, feel great - terrific price. The color is perfect, the style is amazing. 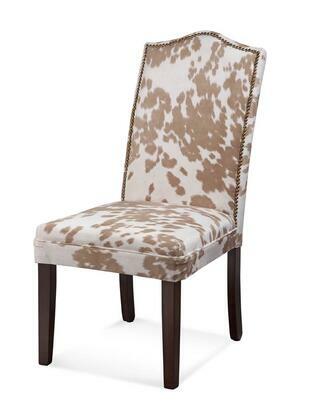 Love that I can own stylish chairs at an affordable price point. We bought four of these for the dining room in our first family home and I am so in love with them. Â Â Pulling my dining room together. I love these chairs, they are just what I was hoping for. They seem very sturdy which is a big plus. Â Â I bought two sets of these chairs for our dining room. I wasn't sure how great they would be but the price was amazing and worth the risk. The chairs look great and the color is very much like pictures. I would highly recommend these chairs to anyone, love them. Â Â The chair is beautiful and the wood is smooth and nice. I have the chair set for over a year. They are still useful and nice. Came in a great condition from the box, no complaints at all. Despite me being a little afraid to order furniture online without seeing it person they turned out great. They are sturdy, good quality, and have a very elegant appearance. Bassett Mirror chairs look beautiful in my kitchen. Â Â Very impressed with the quality and workmanship of the chairs. Excellent value, matched our kitchen table beautifully. Thank you so much for such a solid attractively designed chair. Â Â Everyone loves these chairs. I cannot believe the quality for the cost of them. Stylish, simple and useful. I needed something inexpensive but NICE. Worked great.